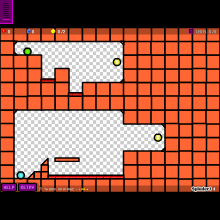 In Each Level, You Click A Ball To Control It. You Have To Collect Every Coin. Red Bricks Are Deadly. THIS IS A DEMO. Feel Free To Give Suggestions Or Level Ideas For The Full Game!